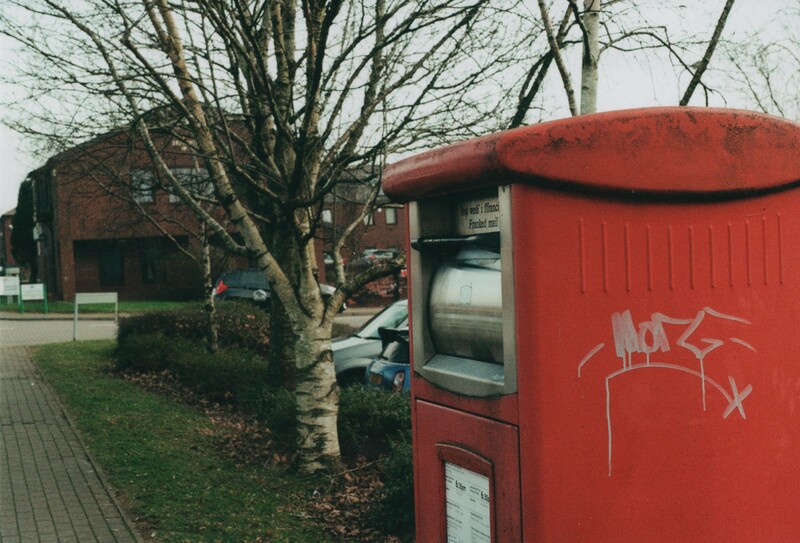 I don’t know who Morg is, but apparently he likes tagging his name on postboxes he even writes an “x” for a kiss after it, how sweet. I’ve noticed how a lot of the photographs I’ve been posting recently have been taken with my Nikon FM, so I thought I’d mix it up with some from my Olympus Om-1n (also because I’ve recently been using that a lot more and had a ton of roll’s developed). So this was taken with that Om-1n with a 50mm lens on Kodak Colorplus 200 ISO film expired in Jan 2014 at f11 and 1/250th sec.